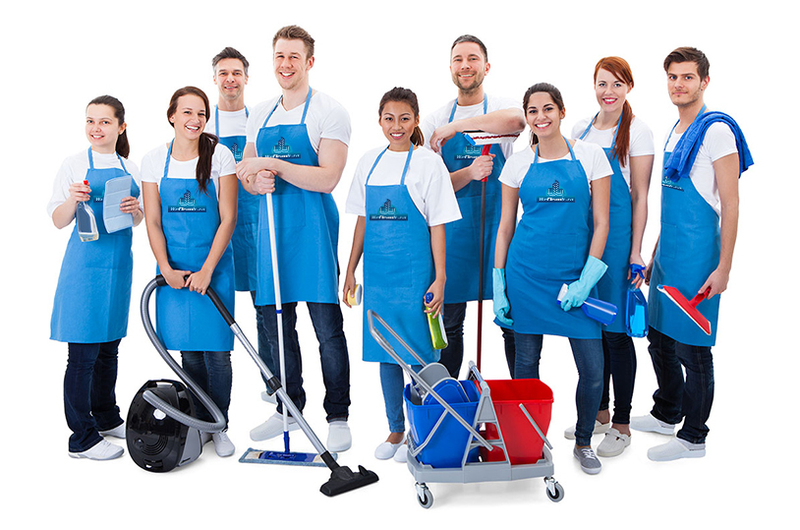 We Clean It provides high-quality cleaning solutions for companies large and small. Our highly trained crews are skilled, professional and competent – they service clients in Toronto and throughout the GTA. For more than 20 years, we’ve been satisfying customers in health care, education, commercial and industrial. Our people specialize in facilities management, building maintenance, and customized cleaning solutions designed to meet the needs of our clients. The priority at We Clean It is to provide exceptional customer service. Our formula for success is simple: extensive experience in the janitorial services and housekeeping industry; in-depth expertise with modern equipment and technology; and a skilled team of cleaning professionals. And while we are best known for our corporate office cleaning, we have a wide range of services that are hard to match in the industry. In fact, We Clean It is the “one stop shop” for professional cleaning. We Clean It is 100% Canadian owned and operated. We take great pride in our work, and we understand that our role is to make clients look good. For every client, large or small, we are committed to a job well done - every time. Whether it’s a complete facility service program, or scheduled commercial cleaning, our commitment is intact. Finally, we make every effort to be environmentally friendly - we use professional grade, custom made, eco-friendly products. Quality assurance guarantees a high level of performance, ensuring that both staff and clients are safe and secure while we are on site. We have mandatory safety protocols; strict quality control checks; and guidelines for maintaining a safe working environment for everyone. At We Clean It, supervisors and management are trained in WHMIS (Workplace Hazardous Materials) and subscribe to universal safety procedures. We focus on providing optimal work conditions for our crews and employees – in short, a safe and healthy work environment. We make thoughtful decisions about the products we choose. And because we use such large quantities of cleaning products, we are serious about employing eco-friendly products and environmentally-conscious cleaning methods when possible. Our products are professional grade, and often custom-made in house. We Clean It provides clients with a spotless, sparkling and hygienic indoor environment. We use bio-based cleaners and non-toxic materials that are 100% biodegradable - products that do an excellent cleaning job but don’t contain ozone-depleting chemicals. The team at We Clean It provides a wide range of commercial cleaning services – everything from carpet cleaning and floor care, to restroom cleaning and restocking, to post-construction cleanup. We also provide pre-scheduled mat services for lobbies and entranceways. With all of our resources under one roof, We Clean It offers clients a comprehensive package of “handy-man” services from basic to multi-faceted. It’s a cost effective approach to building maintenance that allows for additional service offers, and extra benefits to every customer. For companies looking for a quality approach to commercial cleaning, We Clean It guarantees 100% client satisfaction, outstanding cleaning results, and excellent service every time.